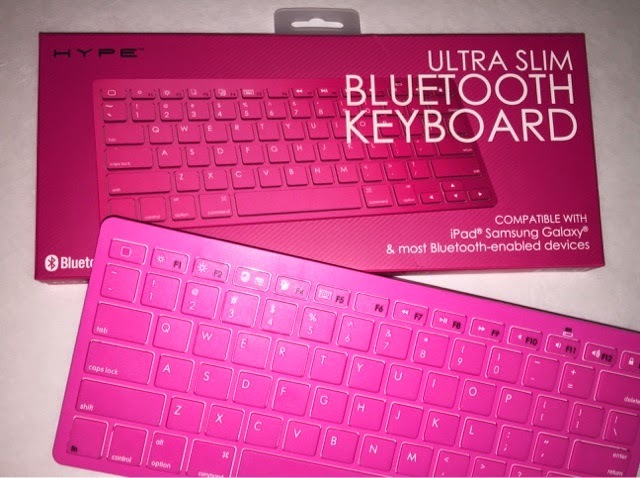 It was like two months ago when I saw a keyboard for an iPhone 6 Plus at Walmart and I was kind of hesitant coz it was as big as the iPhone 6 Plus, so I thought to myself that I am sure there's something somewhere that has a bigger and better keyboard than this and it doesn't have to be attached to the phone, so I went online and looked for a wireless keyboard and fortunately, I found one at Amazon, so without any doubt, I went ahead and bought it (for 15 bucks only). So, today, my order arrived and I am very, very happy with my purchase. I don't have to get frustrated typing directly onto my screen and I can type faster just like with a normal desktop keyboard. I can also use this with the kids' iPads if I have to. I am just pleased and it only takes AAA batteries and I can take it anywhere I go and it's very light. I can write anything when I'm in the car now, and I don't have to wait until I get home to get to my computer, and I prefer taking/using this rather than their iPads, and I don't want to use something that's not really mine anyway.